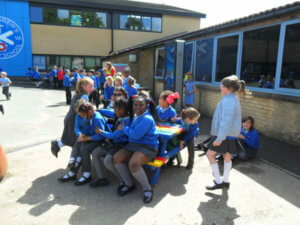 FOSA have bought some new fun benches! FOSA have just had an exciting delivery of some new benches for the playground! The benches are made from recycled plastic and are brightly coloured and should last a long time! 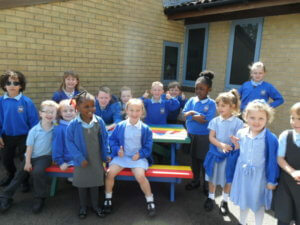 The children were very happy to see that they have somewhere new to sit and relax! A Big THANK YOU to all the parents, carers and friends who support the FOSA events!